Friendly, helpful and knowledgeable, BG Family Law has the experience and the know-how to get results. Our easy to understand fixed fee arrangement means you'll never get any unexpected lawyers fees. You’ll be glad you had us on your side. We understand how stressful and challenging changes in family life, property and planning for the future can be and with our experience, support and expertise we can promise you the best possible outcome. We offer a property and family law service. Our approach is to provide sensitive and sensible advice, whether you want to buy your forever home, secure your assets at the start of a marriage, civil partnership or cohabiting relationship or if you have taken the difficult decision to separate. Our accredited Family Law Mediator, three experienced Family Lawyers and esteemed Property Law and Estates solicitors are all experience litigators in Courts across Scotland with strong legal knowledge and negotiating skills ensuring the best possible outcome for you. We aim to provide the best legal service possible. We're highly professional but also approachable and easy to talk to. We offer good, clear advice, get to the heart of the matter quickly and have a very successful track record. 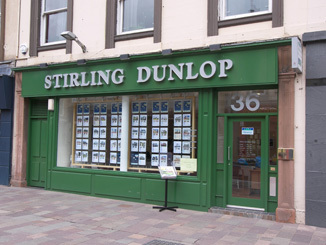 Our Hamilton office, trading as Stirling Dunlop, has been firmly established in the area since 1973 and offers a full range of personal and commercial legal services. You can contact us by e-mail or by telephone on 01698 307170. © Copyright 2013 Baker Gostelow Family Law Limited. All Rights Reserved.